POWERLINK, originally developed by the Austrian specialist Bernecke&Rainer (B&R), is advanced by leading automation companies under the management of the EPSG - the Ethernet POWERLINK Standardization Group. It is one of relevant standards in Europe for the use of Ethernet in the automation industry. Through its past history Powerlink is very common. More than 100,000 nodes have worked without interference in series machines and plants for several years worldwide. Ethernet POWERLINK, is a communication profile for extension of the IEEE 802.3 (Fast Ethernet) for automation. The EPSG standard is already brought in the IEC and accepted to the standardization. The great attraction of Ethernet is the possibility of taking advantage of the medium from the sensor level up to the control center level. Powerlink greatly values it, that however the user can concentrate on his application and isn't blocked by network administration. An automation technician still can exchange his components with the screwdriver. The address allocation is solved simply, but nevertheless the real time devices can be reached corporation-wide by there IP-addresses. Targets of the EPSG aren't only high speed connected with real time ability and IP integration. On the application layer a high openness is advanced regarding the device profiles. A cooperation exists with the CiA - CAN in Automation - to integrate the CANopen communication and device profiles in Ethernet POWERLINK together. The combination of the advantages of real time Ethernet using POWERLINK and the CANopen profiles offers a continuity from the simple sensor network, over fast motion control systems up to the factory network. The integration of the open device profiles is already completed. 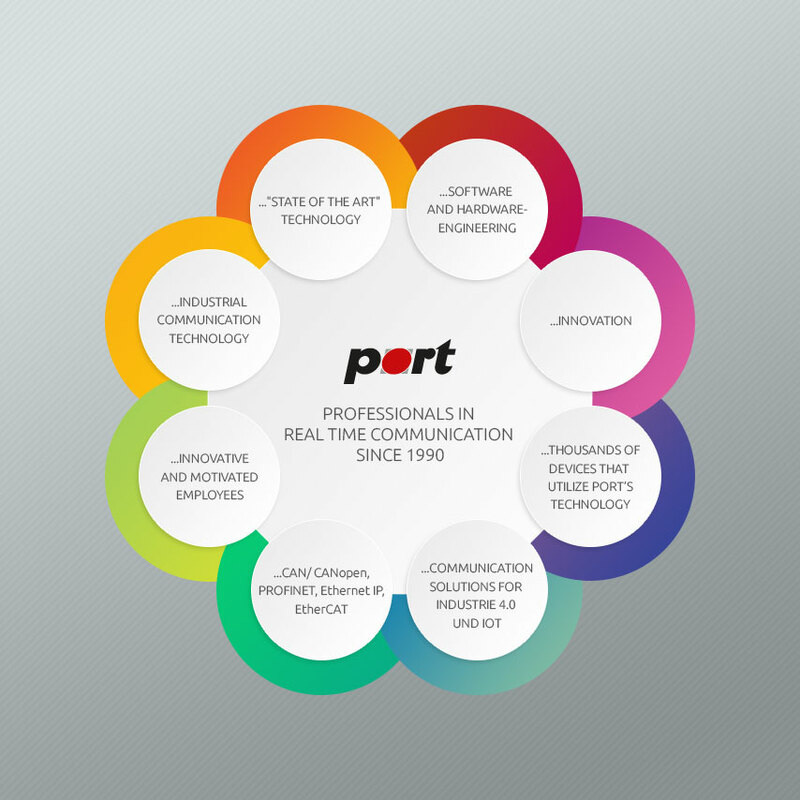 Service providers like port GmbH offer software tools and services for the POWERLINK-device development. Meanwhile the EPSG works on useful extensions like the time synchronization in complete enterprise networks and the integration of security relevant functions. In POWERLINK all data transmissions are checked by a manager «Managing Node» MN to avoid frame collisions in the Ethernet network. The network devices, «Controlled Node» CN, only send when they are asked for it by the manager. An POWERLINK cycle is divided into two time domains. A «Start of Cyclic» (SoC) frame, sent by the manager as a broadcast message to all controllers, starts the strictly deterministic «Cycle period». In this cycle an isochronous data interchange is carried out. The Managing-Node sends one «Poll Request» in the Unicast mode sequentially to every Node. This is answered as fast as possible with a «Poll Response» by the addressed node. The answer is sent as a Ethernet Multicast frame and therefore cannot only be received by the manager but by every Node having been interested in it. The «Asnychronous Period» follows directly. The Managing Node asks here again every Controlled Node one by one with a Ethernet unicast «Invite» frame to send data. E.g. the nodes can send IP frames in this part of the cycle. Arbitrarily many topologies are practicable by the use of Ethernet-Hubs. From external Legacy Ethernet and other IP networks one can access directly POWERLINK devices via special POWERLINK-capable routers. The introduction of an CANopen compatible Application Interface in plants and machines also makes the simple migration of CANopen to Powerlink or the combination of both busses possible. The standardization of the version 2.0 is now completed and the standard part of the IEC documents (IEC 61784.) Many companies have already running implementations. On fairs Multivendor plants are shown with promising results. port GmbH provides software for the implementation of Controlled Nodes according V2.0 with CANopen application interface already now. There are already example implementations available of an POWERLINK-Controlled Node for the Freescale processor MC9S12NE64, Xilinx FPGAs and for the STR910 of ST Microelectronic. The port POWERLINK-protocol stack is available in a generic version which simply can be adapted to different target systems and operating systems. The current status of the standardization of Ethernet POWERLINK and available knowledge and tools requires a close cooperation between device designers and Stack providers at the present time. port offers its services and experiences to this to all it’s customers.